Since it’s only been a couple days, I haven’t had time to use the Z7 (along with the FTZ adapter and 24-70mm f/4 lens) for more than landscape and Milky Way photography, so I won’t make any comments on other areas of performance so far. That includes the autofocus system – I spent almost the entire time in AF-S mode. But I did learn a lot about the camera’s battery life, handling, and third-party incompatibilities, as well as the image quality of the Nikon 24-70mm f/4 S lens. That’s what I’ll focus on here. Starting with the good side of the Nikon Z7, it really is a pleasure to use. After setting up the menu to match my DSLR setup, the entire button layout was highly intuitive, with very few missing features or options. It’s not as though the new mirrorless layout is the same – after all, the entire left-hand row of buttons is completely gone, moved elsewhere on the camera – but Nikon DSLR users will feel at home very soon after picking up the Z7. The Nikon 24-70mm f/4 lens is also very high in quality, with only a couple of corollaries (mentioned in the next section). Without the benefit of test charts or side-by-side comparisons, I’m still willing to say that this is one of the sharpest zoom lenses I have ever used, including wide open. Coupled with the 45 megapixel sensor, even the slightest error in focusing will be immediately visible in a way that you might not have experienced with a lower-resolution sensor – even 24 or 36 megapixels – and a different lens. Although it was a bit of a controversial decision to do a 24-70mm zoom range rather than something like 24-105mm or 24-120mm, I find that this lens is right about the optimal size for the Z7, and anything larger for the main kit lens would be excessive. I’ll also point out that the screen on the Z7 is, by a wide margin, the best I’ve ever used on a Nikon camera. Back when I tested the Canon SL2, T7i, and 80D, one of the main advantages those cameras had over competing Nikon DSLRs was the quality of their screen. Whatever the reason – perhaps the colors of the JPEG preview or the LCD’s calibration – images taken with the Canon cameras looked much better than those taken with Nikon cameras side by side. It’s important to note that this difference disappeared when the RAW photos were brought into post-processing, but there is something to be said for a screen that looks as good as those did in-camera (and it’s not just something that can be fixed with the feature on Nikon cameras to change screen color, which I tried as well). The Nikon Z7’s screen reminded me of Canon cameras in that sense, not just because the aspect ratio is finally 3×2 (making the image comparatively larger), but because of the sharpness and color. Side by side with the Nikon D850, using all the same settings, images from the Z7 look better on the LCD. 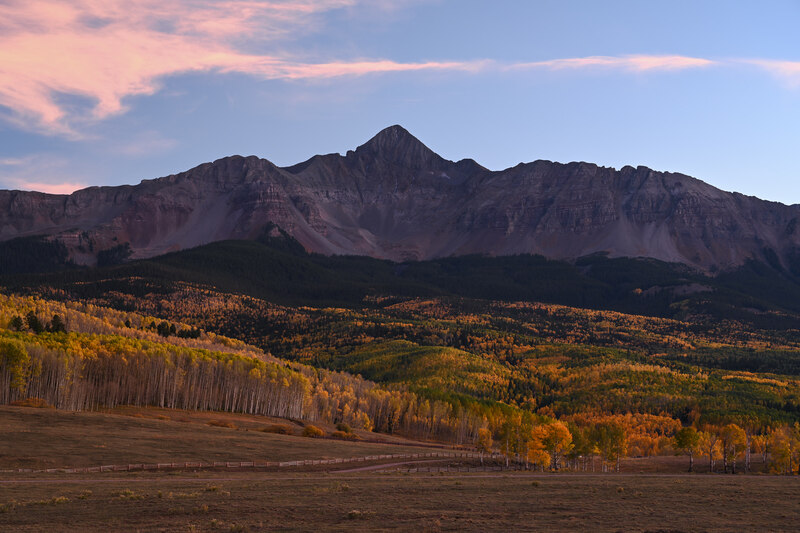 Again, this difference disappears upon opening both photos in Lightroom, but there is something to be said for composing your images with a large, high quality screen – I think it translates directly to taking better pictures. By the same token, the viewfinder on the Z7 is extremely high in quality. Personally, I find that EVFs can give me a headache and look somewhat fake, whether due to refresh rate, flicker, colors, or some other reason. Although the Z7’s EVF isn’t like an optical viewfinder, I found it to be very realistic overall and quite sharp, with practically no flicker at all. In terms of battery life, you’ve probably heard that the low CIPA numbers don’t tell the whole story, and you can get quite good battery life out of the Z7 when used properly. Is that really true? On one hand, anyone claiming to get thousands of shots from the Z7 is almost certainly shooting them all continuously; you won’t get that many in real world usage for something like landscape photography. But the battery life nevertheless should not be a major concern for most photographers. 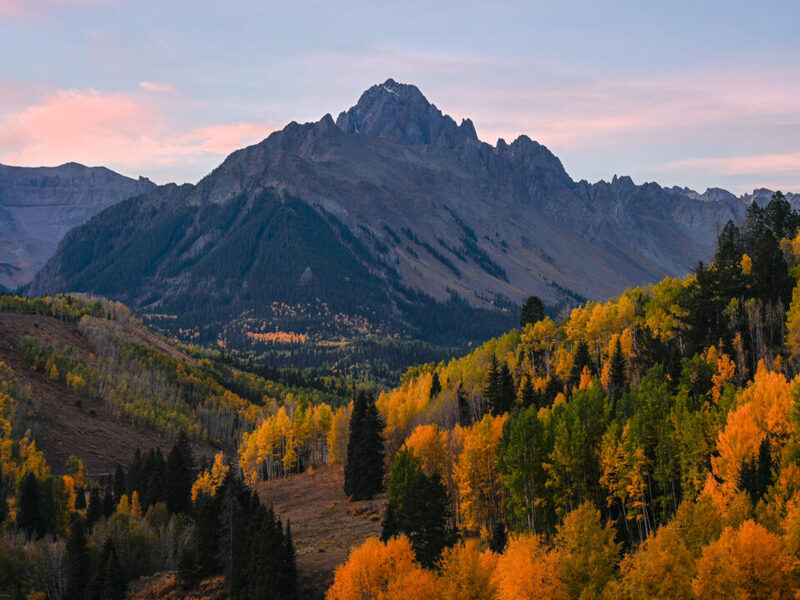 Used normally, you can expect to get 500-700 landscape photos over the course of 2-3 days before you need to replace batteries. That’s in line with Nikon’s DSLRs when used in live view, if not slightly better. But even though I noticed no battery life issues in the Z7 compared to Nikon DSLR live view, we will be doing more exact tests at Photography Life soon in order to determine exactly how much better or worse the Z7 is. The rest of the Z7’s handling is quite good overall. In particular, I like how responsive the camera feels. It turns on and off without any meaningful delay, and zooming in during live view is faster than with any Nikon DSLR I’ve ever used (not a small factor when you’re trying to confirm focus quickly). The same is true for moving the live view focus point with the joystick, as well as zooming in and scrolling around an image while reviewing it. Operationally, the Z7 is a very fast camera. Autofocus is another important area, even for landscape photography. While shooting in dark conditions, I was very impressed by the Z7’s success in locking onto difficult subjects. It was far, far better than the live view focus system on my D800e and the D810 I’ve been using, working properly in much darker conditions – although I have yet to compare it side by side with the D850. It also focuses very quickly, except in the ultra-low light focusing mode, which Nikon’s DSLRs don’t have anyway. Again, though, I have yet to check AF-C autofocus and tracking capabilities to any meaningful degree, so I won’t comment on them yet. The grip of the Z7 is very deep, in line with Nikon’s DSLRs. I know that people like the ergonomics of Fuji mirrorless cameras, but I have to confess that I prefer a deep grip rather than a more rectangular camera body. The Z7 makes it easy to hold the camera by your side with the grip, which certainly isn’t true of all mirrorless cameras. And although the grip isn’t particularly tall – your pinkie finger might not fit perfectly – the Z7 is still in line with the most comfortable mirrorless cameras you’ll find today. Although there are a lot of good points, not everything about the Z7 is perfect. The biggest issue I’ve noticed so far comes down to a single word: incompatibility. If you have any Arca-Swiss compatible brackets, you can probably forget about keeping them on the camera while the FTZ adapter is attached. I’m really hoping that companies like RRS and Kirk release L-brackets that take the FTZ adapter into account, but until then, you’ll need to remove the bracket from the Z7 every time you add the adapter, or it simply won’t fit! That certainly isn’t ideal in the field, particularly for an adapter that Nikon has advertised so heavily as an essential component of a Z7 kit. The same is true of the FTZ adapter – unless you attach the tripod plate off to the side of the FTZ adapter’s tripod socket, you’ll end up unable to attach or remove the FTZ from the Z7. The 24-70mm f/4 lens also has a couple flaws, despite its overall impressive image quality. For one, at f/4, it has very high levels of vignetting across the zoom range, to the degree that I had to double check whether or not I was capturing my polarizing filter in the edges of the photo (I wasn’t). And the very extreme corners have a noticeable drop in sharpness even at smaller apertures – noteworthy not because of the amount of sharpness decrease, which is about what you’d expect in a good zoom lens, but because it is a surprisingly sudden transition from best-in-class sharpness to “merely acceptable” resolution in the corners. I’m interested to see how it stacks up when we test it with Imatest in the coming days. It’s not something that really bothers me, since I never meant to own that battery anyway. Unfortunately, I don’t have any other third party batteries with me at the moment to test, so I can’t say whether this is a one-off issue or a sign of a larger trend. But given the number of photographers who shoot with off-brand batteries, this is at least a concern worth raising. You may also have heard some photographers claim incompatibility between the Z7 and Tamron lenses used on the FTZ adapter. I only have one Tamron with me at the moment, the 15-30mm f/2.8, but I can confirm that everything works just fine for me with my copy of this lens – autofocus, changing aperture, changing exposure, and so on. I have yet to test with any other off-brand lenses, so I can’t comment any further than that. At least with my copy of the Tamron 15-30mm f/2.8 and FTZ adapter, I can confirm that autofocus and auto exposure work exactly as expected. In terms of handling, one compromise I noticed is that the Z7 doesn’t have the equivalent of the “OK” button that you’ll find on many of Nikon’s advanced DSLRs (not the center OK button in the direction pad, but the other one found on cameras like the D850). Normally, pressing this second OK button in live view switches between an exposure preview and a “neutral” exposure which can make composition easier. I find myself going between them somewhat often as a landscape photographer, although other photographers I’ve talked to don’t switch between them as frequently. With the Z7, though, this is something you can only adjust via a menu option, which takes some time to access – even if you add it to your custom menu and assign a button to open My Menu. I’ve also found that, even when enabled, this option doesn’t show you the brightest possible preview that the Nikon Z7 is capable of displaying in dark conditions. While I was shooting the Milky Way, I enabled this option (“apply settings to live view”) in an effort to focus on stars more easily, and the preview was still very dark. But when I tested out autofocus just for laughs, the preview instantly became much brighter (though the autofocus system didn’t lock on, which was no surprise, since the only light was from the stars). This is because I was using the low-light autofocus feature, which uses longer shutter speeds in order to gather every last bit of light to help the autofocus system. Although it is a nice feature, I wish there were a way to get the same brighter preview for manual focusing or image preview in low light conditions, even knowing that live view will lag as a result of the longer shutter speed. Also, I discovered one clear bug with the Z7 that I wanted to mention. Sometimes – about 1% of the time – when I magnify an image in review mode, then scroll up and down, the rear LCD flickers along the way. I will try to repeat the issue and capture a decent video of it (I only have a low-quality cell phone video of this behavior at the moment), but it doesn’t occur under any specific, replicable conditions that I have been able to figure out yet. The good news is that I haven’t seen this issue during actual live view shooting, nor in the EVF. And when I stop scrolling around the image, the flickering stops. So, it is an annoyance and certainly a bug, but not anything that will hamper your shooting in most circumstances. Those are all the issues I’ve found with the Z7 so far, but it will take some weeks of intensive testing to see which other problems reveal themselves. On balance, none of these issues is fatal, unless you are a Tamron shooter whose most important lenses happen not to be compatible (and even that clearly is not something that affects every copy of every Tamron lens). I’m continuing to test the Z7 extensively, so let me know if there is anything specific you want me to look at. Next on my list is to see how the 24-70mm compares in sharpness to other lenses – both primes and zooms – in the same range, even though it would mean using the FTZ adapter at the moment (our 35mm f/1.8 S is arriving in a couple days). I also want to test the IBIS performance with adapted lenses, and see if an adapted lens on the Z7 matches the performance of the same lens on the D850. And I’d like to see whether the “diffraction correction” setting actually affects RAW files (some people are saying it does, but I would be surprised if that’s the case). Several image quality samples are also coming soon. Then, the last item on my list at the moment is to compare the battery life of the Z7 side by side against the D850 using live view and see which comes out ahead. And, of course, our full Z7 review is in the making, with far more sample images and deeper, scientific analysis. This information only scratches the surface, and it will take far more than just two days with the camera to truly analyze the Z7. Most likely, you’ll have to wait at least a few more weeks before real-world reviews from photographers start rolling in across the internet, and ours will be among them. To our readers who have purchased the Z7 or are considering it, hopefully this first impressions review gave you a few things to think about, good and bad! Your review of the Nikon 58mm f/1.4G convinced me to buy that lens and I love it. Once your team receives all the ordered Z7 and FTZ adapters, do you plan to review how it works with the 58mm f/1.4G? Would love to see a review, as it seems Face AF and having the focus points all over the frame will make it much easier to hit focus with this lens. How the 58mm works with the Z7 is the one thing I’m looking for before purchasing it. I don’t see myself using the top display very often, as everything is in the finder or on screen. And the top display is too dark in the bright light. Else than this, incompatibilities I found to Tamron 150-600 G2, 100-400 and Profoto flashes. I like the shutter sound, but I wish AF-C would confirm focus by changing the color of the focus area frame. Tracking worked nice and better than on D850, but pressing OK first is weird. L-Plates: I have some but on this camera I see trouble using them: LCD screen can be limited by the plate and the cheap flaps to cover the socket interfaces are a step backwards from the three separate flaps the D850 is equipped with. At the moment I use a 42 × 42 mm plate on camera, aligned with lens axis. and a separate short one for the adapter. I simply don’t understand why the adapter could share the same bottom plate level with the camera. One question, Spencer: In the menu there’s an “autofocus fine tune” entry and it does change front ot back focus – my thinking so far was, we don’t need this fuzz anymore with ML. Fujifilm doesn’t have it. But Nikon told me, it’s to adjust phase detection AF. Whuuttt? That PDADF sensors are on sensor level – what and especially how could I see a need to adjust that? Appears to me as if someone had left some firmware parts in the menu…. Same here with regards to the top display – which is one reason I wish it were possible to eliminate all the info from the rear LCD screen. You can always look at the top, so why not at least offer a way to compose photos without any distractions at all? Thanks for mentioning the incompatibilities you found. We’re going to keep a running list in our review of the Z7, so it’s good to know which ones you found. When you mention incompatibilities with the Tamron lenses, do you mean that the Z7 wouldn’t take photos at all, or would do so without some useful features like autofocus or the ability to change exposure settings? I agree with regards to AF-C and changing color to indicate focus – forgot to add that one to this article, but it is definitely strange. I’m glad that you found tracking to work well; we’ll be testing that soon as well. Using a non-L plate in line with the lens, then scooting it far back, is the only way at the moment to attach the FTZ adapter without having to remove the plate from the camera (although it doesn’t work with all the plates I’ve tried, only some). I’m with you – why Nikon couldn’t align the bottom of the FTZ adapter and the bottom of the Z7 is a mystery to me. I was wondering that about the autofocus fine-tune myself. I’m always a proponent of more menu options rather than fewer (so long as they’re arranged reasonably of course), but that one feels out of place. The Tamron don’t work at all. LCD pops up with “error! press the shutter button again”, then for ½ second a LV picture appears, after that again. I switched the VR off at the lens, later also AF and set it to MF (on the lens). So far nothing works – but all Sigmas I have are doing great! For the Tamrons, I hope there will be a fix. The latest update of the 100-400 is really good. First time I could handhold 1/10 sec @ 400 mm, AF is also rather snappy. Thanks for the info! 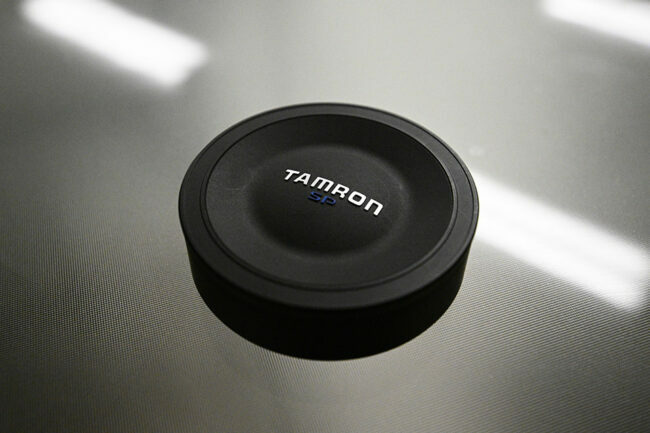 Hard to know whether there will be a fix for the Tamron lenses, but I hope so as well. Need to correct myself: Profoto A1 is working well now. I’ve no idea why the image at first was darker than with a genuine Nikon flash, but now it’s alright. I was a bit biased because a Nikon rep at one of the meet and touch events said, the camera was not working so well with Profoto flashes. Could you give any more detail about the Profoto issue please? We are heavily invested in Profoto & this would impact our camera purchase decisions. 1: rare intermittent non firing. 2: pretty reproducible non-firing when shooting in Continuous Low mode -> anywhere from 2-5 fps (flash set to manual minimum power (using B2 or B10 + Air TTL-N). I opened up a ticket with Profoto but no response. Nikon Firmware 1.02. Profoto Firmware at latest (as of 11/18). What is the nature of the L-bracket incompatibility when mounted on the Z7 body? It looks like there is an adequate gap between the FTZ tripod mount and the Z7 camera body. Or does the mount interfere with a clamp that would grip the L-bracket? Could you mount an Arca-type plate on the FTZ tripod mount without interference? It’s a bit deceptive, but there is not an adequate gap between the FTZ adapter and a typical L-bracket. In fact, the bottom of the FTZ adapter extends significantly below the bottom of the Z7, which is just strange to me. Perhaps there are some L-brackets out there designed in a way that doesn’t interfere with the FTZ adapter, but none of the ones I have with me are close. The only other option is to use a non-L plate and turn it in line with the lens, then slide it relatively far back (which Joachim was talking about above), although it doesn’t work for every plate. I could mount an Arca-Swiss plate on the FTZ tripod mount without interference, with a minor condition: If the plate is close to centered, you won’t be able to attach or detach the FTZ adapter (even when it’s a relatively small/medium size plate). The solution there is to place the plate off-center on the FTZ somewhat significantly, slid to the left so it doesn’t bump against the Z7 when removing/attaching the FTZ. Not a dealbreaker, but worth keeping in mind! It looks to me like the thinner camera bodies are a challenge, & may not be compatible with current L-plates, as the American standard plate is 1.5″ (~38mm) wide, so the plate manufacturers will have to design an L-plate offset behind the tripod socket, (similar to the RRS D850 L-plate), but centered so that it does not interfere with either the moveable LCD behind or the FTZ in front, if possible. And of course we will have to buy a new nodal slide that mounts the camera higher on the slide, and smaller diameter rotating clamps, or use a multi-clamp on a multi-purpose rail. If Nikon is discouraging camera mounted L-plates, I wouldn’t be surprised if future professional 2.8 S lenses all have their own tripod mounts. I was going to pick up my Z7 tomorrow, but I think I’ll hold off until this is sorted out. Sure thing. RRS has said in an email that they are taking the FTZ adapter into account and exploring options to make it work. I’m confident that they and other companies will find a way to make it work, but Nikon didn’t make it easy on them! I wonder if ever a design department of a camera brand will come up with the idea to add Arca-Swiss compatibility right into the bottom plate – or the battery grip. There are so many plates on the market, but at times it’s hard to find the right one. I think I will modify an old D800 plate from Mengs – the battery compartment also needs to remain accessible, that’s another challenge. Very interesting review and very useful , i have found this news about a L plate made for Z7 maybe it will be compatible with the FTZ adapter . www.digitalcameraworld.com/news/…or-nikon-z . No, it will not be compatible. The adapter’s tripod socket will block the dovetail. Now I’m a Canon shooter and don’t expect to get into full frame mirrorless (perhaps m4/3), so maybe I should just stay out of this, but I’m wondering if one possible temporary fix might be to put a spacer of some kind between the L-bracket / plate and the bottom of the Z7. Perhaps a heavy rubber pad cut to the width of the body would provide enough clearance. Or, could a small notch be cut out of the bracket / plate; just enough to clear the adapter? Just a couple thoughts. Yes, a spacer is the only reasonable way to make it work that I can see, and I suspect that is the route RRS will take. I wouldn’t add one myself though – just planning to wait until theirs or another company’s arrives on the market. While I see your issue being an early adopter, how is this not expected? If RRS and Kirk plates, designed for the Z bodies, do not fit with or with out the adapter I many more people will be very surprised. I preordered the Z7 L-plate from RRS and if it doesn’t work with the FTZ I’m going to ask for a refund. I would be shocked if it didn’t though. They’ve said in an email that their engineers are taking the FTZ adapter into account and are exploring their options. Interesting and useful point about the improved LCD screen. I have always found Canon screens more exciting as you said, which has probably led me to delete too many shots on Nikons in the past. Did you notice if zooming on the preview screen simply enlarges the VGA image leading to pixellation, or whether a new image is created for each zoom level, allowing much more detail to be seen? I always found the Canon screens were better for that too, allowing greater detail at zoomed in levels. Yes, the screen is awesome this time around! Great question. There are three levels of zoom, fewer than on most Nikons, but they’re also more dramatic each time than what you’d find in the past. Definitely an improvement in my opinion. More importantly, all three of them appear to be “real” – not just enlarging the prior image. You’re right, that’s a very welcome sight. Thank you for this great initial review. We are looking forward for a more detailed one ! I was wondering what was your opinion on the Z7 for landscape astrophotography like the milky way. I know you talked about focusing and live view being not perfect perfect. But I was wondering if the Z7 gave good results for astrophotography. I am still hesitating between the Z6 and Z7 as my first upgrade from a D7200 and I wonder if I should spend more and go Z7 or if for landscape and Astro the Z6 is enough. So far I was reading that 42MP with small size (Z7) is maybe worse for Astro than 24MP with large pixel size (z6). What are your thoughts on that ? Thanks in advance and great work ! It gave great results for astrophotography, although I’ll preface that by saying all current Nikon full-frame cameras do! 45 megapixels is likely to be preferable, just because of the extra detail – any ISO performance improvement on the Z6 is likely to be minimal or nonexistent if you were to downsample the Z7 to be 24 megapixels as well. But we will need to test that in order to know for sure – that’s just what past Nikon cameras suggest. I’ll post some more astrophotos from the Z7 soon, including crops. The one in this article is a bit different because I used a star tracker, but I also took one with the 24-70 f/4 (not a great focal length or maximum aperture for astro!) at ISO 6400, 24mm, and f/4 that worked out quite well, all things considered. Seeing some 100% crops would be awesome. Was there any coma/distortion of the stars on the edges at f/4? I’ll post some 100% crops soon! There was very little coma and spherical aberration in the stars, although being a 24mm f/4 lens, it isn’t ideal for Milky Way work. But I did do one at ISO 6400, which I’ll compare side by side against the image in this article at ISO 64 and 860 seconds. Spencer, what did you use to control shutter speed during the astro shots? I’ve been waiting for a “lighter kit” to put on a sky tracker with a Milvus 15. It wasn’t the primary reason I ordered the Z7, but it was a potential benefit. But having tried a number of wireless shutter controllers with generally underwhelming performance or reliability, I am looking for something. Thanks. No wireless shutter at all! Some of Nikon’s newest cameras, including the Z7, have a time exposure mode beyond the 30s exposure setting. I pressed the shutter button, timed the exposure on my phone, and pressed it again about 15 minutes later to stop the exposure. That’s interesting. Could you talk more about the steps & any menu settings you used to do that? You don’t even need to set anything up in the menu. Just turn the shutter speed dial beyond 30s to where it has two dashes, – -. Press the shutter button once to start the exposure, and again to end the exposure. Hope that helps! I’m surprised by your finding that the 24-70 f/4 lens had a noticeable drop in sharpness at the very extreme corners since Nikon specifically bragged about this lens’ edge-to-edge sharpness even wide open. Any explanation or thoughts on this? I was thinking the same thing, particularly since the Z-mount has a relatively large diameter. Perhaps it is a case of Nikon not being used to designing lenses with the shorter flange of mirrorless. It is a very sharp lens, even to the point that I suspect it will be among the sharpest zooms we have ever tested, including in the corners. 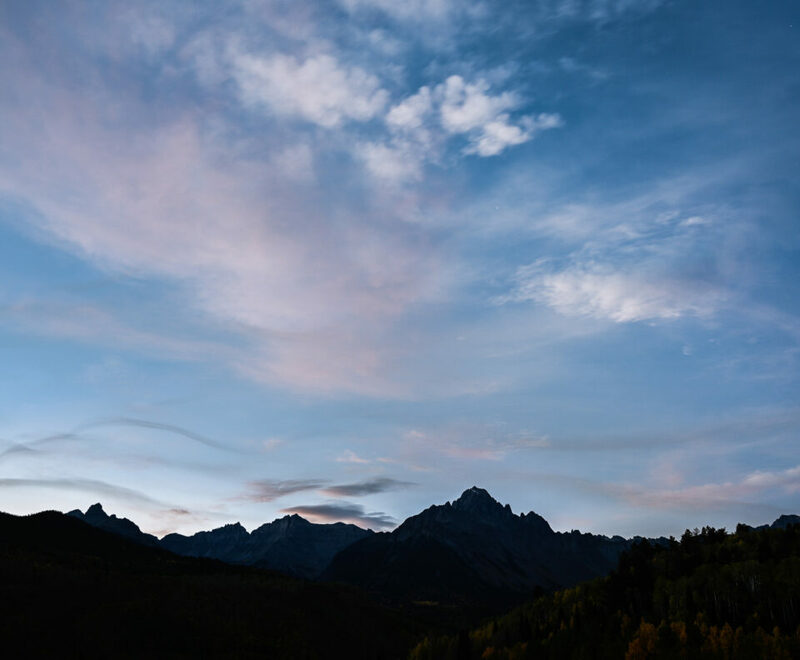 The drop off is noteworthy not because it is extreme – all zooms I have seen have something similar – but because it seems to happen later and more suddenly than with most lenses. Again, though, this is my impression from the images I have captured so far, and I don’t want to say anything definitive until we test it side by side other zooms and primes. Thank you for the first impressions. I am eager to read the in-depth review. Could you please report on the reliability of continuous AF with face detect in low-light conditions (e.g. like event photography)? I don’t get why you’d like to adapt an APS-C lens to a FF body. Half of the already small focal range will have dark corners. Get a 24-35/2, if you need a fast zoom, but the 18-35 will be a disappointment – except you let the camera switch to DX-frame. Pls test Bird in flight. Will be grateful to hear how this body works, and especially whatever through-the EVF focus assistance features it has, for use with my exclusively manual focus and very fast Zeiss prime lenses. I shoot a great deal of candid photo journalistic sorts of things in addition to land and sea scapes. I want to understand if this body will help improve my hit rate with focus, particularly with fast moving street work, as compared with my trusty D810. I have learned how to make the D810 work for me over the years but can not help but remain incensed over the failure by Nikon in not manufacturing its viewfinder to work with split image screens tonaccomdated manual focus users like me. The use of very fast Zeiss lenses and other very sharp nikon F lenses (such as the splendid nikon 200 f4 micro AFD) with FTZ adapter will a challance. In particular, it will be mandatory to clarify whether the FTZ can lead to some problems with ray incidence on the sensor of Z7. Then, I am waiting for a comparison between D850 and Z7 + FTZ with the same very sharp lenses with F mount (Zeiss, Sigma, Nikon F). Hi Matt, how so? I’m not sure I’d call it commentary, merely one man’s opinion. Have you seen or used a Z7, Matt? “Being underwhelmed” is much closer to reality than “wow, that’s the thing I was waiting for so long”. Incompatibilities aside: The sensor is not new and the whole thing of no higher value than a D850 – and that one feels more solid than the Z. The buttons are not even illuminated – that’s a back step. Lens-hood feels cheaper, but focus by wire does a better job in terms of usability than I’m used from the Fujinons. And this body immediately switches to MF if I override AF-C. In the Z are a lot of good things, some better than other ML. Hi Gosh1, I’m sure you’ll love it. It only takes a five min play to realise it’s a hugely competent camera. 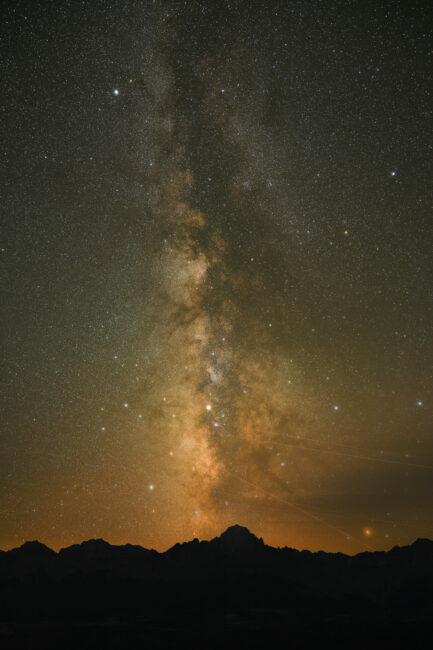 The milky way picture is absolutely gorgeous. Congrats! But I am not alone in holding reservations about the battery holder that is delayed for the Z7. We hear it has no mirrored controls (ie not even a shutter release)! This is a showstopper, especially given the tacky record of as the Nikon Grips. IME they are all overpriced chunks of injection-moulded plastic. Nikon missed the opportunity to incorporate Function-buttons placed to promote swift access, AND to complement those on the camera. There are strong reasons why many of us Nikonians make strenuous efforts to get only the cloned grips for the D500 and D850 (DSTE, McPlus etc). Now the news of a totally emasculated “Grip” for the Z7 grip is very very disappointing. How is the buffer capacity shooting only 14 bit Lossless compressed RAW ? How is the buffer shooting Raw + JPEG in 14 bit Lossless compressed ? ??? Can you test the live viewfinder to see if it gives 100% correct exposure preview as you change the settings and also shows the correct exposure comp in the finder before shooting when changed? I see some saying it is not correct so it is not showing the correct exposure only a simulated look that is not all the way right. Did you notice the banding that DPR picked up, and that also hampers the ultimate IQ of the Sony Series III bodies? It is easy to brush it off as “only affects some photographs” — but isn’t that what we want to buy these expansive large-sensor cameras for, i.e. to do those things that stress lesser cameras over their limits? Surely it is a massive disappointment to see their limitations cutting down ultimate dynamic range and backlit photography. 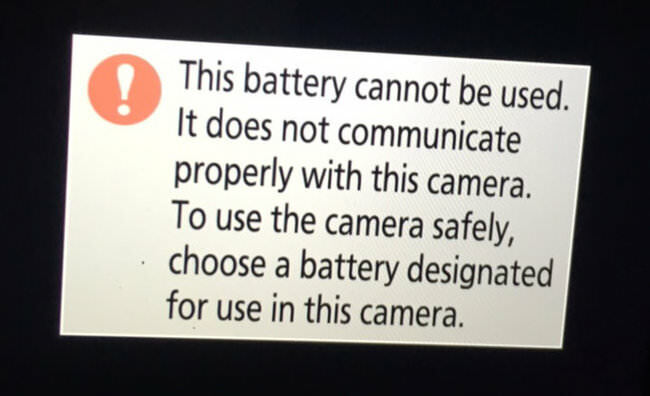 My D850 also will not accept aftermarket batteries! Thanks Spencer, good to hear some early field reports. Photography Life articles on the Zs very informative so far, am learning from each, keep it up! I’ve preordered a Z 6, hoping you’ll give it the same treatment! The battery business started with D500. I found one supplier that actually works with my D500 and D850. I think it will work with new Nikons as well. When you search for the batteries you should putt for D500 and then check description. If description is saying it will work with D500 so that means it will work. They are a bit more expensive too. I am surprised about the heavy vignetting, given the relatively large diameter of the Z-mount. Perhaps this is a case of Nikon not being used to designing lenses with a shorter flange. I will be interested to hear how other Nikon Z-mount lenses perform in terms of vignetting. Hi Spencer, as I hate big and heavy camaera’s I read your article about the new Nikon mirrorless system with great interest. As the new dedicated lenses for the Z camera’s will be astronomical expensive I wonder how the F lenses balance in general on this small camera with adapter. I cannot imagine the Tamron 15-30mm is pleasant to use on this camera for instance. My Nikon D750 with a 24-70mm 2.8 lens is already too front heavy so I think bigger lenses will be very unbalanced in general. An other thing that worries me is that Nikon might stop producing the adapter after a while to force eveybody eventually to buy their expensive Z lenses. Did you check the sky high prices of the new Canon ff mirrorless lenses. I expect Nikon not to become much cheaper! Thank you for a very honest review in the early stages of this cameras life. “I know that people like the ergonomics of Fuji mirrorless cameras, but I have to confess that I prefer a deep grip rather than a more rectangular camera body”. In the last week and after 15 years of Nikon’s including the D800 and D800E I have finally left the family! I have used Fuji X in tandem with the Nikon’s for 4 years and last week bought the X-T3. I never found the X-T2 difficult to carry handheld and the T3 has improved this again. I have enormous hands with a wedding finger size of Z! The X cameras are lighter too so the depth of grip can afford to be less deep. With my X-T3 fitted with the optional grip the experience is enhanced and I regular carry my Fuji 100-400mm with the same comfort I do with my D800E with grip fitted and the Nikon 80-400mm lens. Technically also and in terms of mirrorless to dSLR comparisons and after many years with Nikon and Fuji used together, I feel they have entered the market too late. This ship has sailed. Richard, my hands are big as well, gloves of 2XL just fit, I prefer 3XL because of the long fingers. Haven’t you got the experience of hurting finger tips with shallower grips if carrying the camera for a longer period time? Either the tips of my fingers hurt after a while because they press against the body or if I take them a bit back to reduce the pressure the joints are stressed because all the weight is upon the first joints. The weight of the camera body itself is less the reason but the weight of a larger lens because of the different balance compared to a smaller lens (lift up motion puts weight on the index finger). And that said even a D800E with fitted grip does not allow me to use all fingers. I like the grip of the D4 (or D5) best. There should be two grips for the Z-system: a smaller one just to hold a spare battery and a bigger one for the ergonomics WITH a shutter button, an AF-button and a focus selector. Thank you for an honest and open early review. Having run Nikon (D800/800E/D500) in parallel with Fuji X and now the X-T3, I have now this week abandoned Nikon after 18 years. I’m afraid there’s nothing for me to have kept with Nikon. The mirrorless ship sailed a long time ago and Nikon were not on it! This is probably more of a question for Nasim, but as a wedding photographer I want to know if this will work for very low-light actions shots (dancing). I rely completely on the AF-assist grid on the Nikon flashes today, which I’ve heard isn’t activated when attached to the Z7. Is this rumor wrong? Will the low-light AF be good enough to not need it? I’ve had the Z7 for barely two days, and Capture One, my preferred processing software hasn’t yet been upgraded to incorporate Z raws. So, I don’t have much to say about the actual quality of the images, other than they look great on the LCD and focus appears to be spot on with the Native 24-70, as well as my F-mount 70-200 f2.8 and the 135 f1.4 (even wide open, although I’m still capable of missing). I’m still sorting out metering and focus possibilities and limitations. At to the camera, I like the look and feel. Aesthetics aren’t at the top of my list, but I think it has sort of an industrially-cool vibe. More importantly, it feels good in the hand. And my hands are very, very large. My pinky dangles, but that’s nothing new for me. The grip is deep and comfortable. I have no trouble reaching the front function buttons. The right side rear buttons are easy to find and feel like they’re in the right places. I wish the playback button was on the right, as it is on my walk-around camera, the Fuji XPro-2 (which, by the way, is slightly larger than the Z7). I’ve set the front lower function button as playback so I can keep the camera at my eye without fumbling around for playback with my left hand. After all, one of the advantages of mirrorless is being able to review in the diopter-corrected viewfinder instead of trotting out the reading glasses to chimp on the LCD. I also like being able to view a histogram in the viewfinder. And perhaps I misunderstood Ming Thien about clipping warnings, but the blinkies are, of course, available on playback both in the viewfinder and on the screen. Via the Fuji, I have long since grown comfortable with electronic viewfinders, and the Z’s is very good. I find the OLED white-on-black top control panel to be easy to read—it’s the first top control panel I’ve ever liked. I did bump up the type brightness a couple of notches. Not so in love with having to dig into the menu to format a card. Maybe I’m missing a shortcut. Overall, this camera seems to expect a lot more user interplay with the menu and screen than my D500 and D810. Including using finger gestures to scroll through images and enlarge them. Yea, the D500 has that, but I’ve always forgotten. Time to start remembering. I never aspired to own a second 24-70, and an f4, at that. But I ordered the kit so that I would have one semi-versatile native lens (50mm is on preorder). It’s small, it’s crisp, it feels solid to me. The camera and mounted lens are small enough to fit in a little teardrop backpack that I often carry biking, hiking or when traveling. I like that. Plus, with all those pixels, I’ll be able to crop in as needed for travel shots. That’s an interesting point about the difficulty with plates. Hopefully, the RRS folks have worked that out. In the meantime, I have a small, generic bottom plate that I mounted on the FTZ. I can mount the adaptor and remove it with the plate in place. I intend to continue shooting sports with the D500, with its supernatural focus system and high frame rate. I’m hoping the Z7 can replace both the D810—portraits, travel a bit of landscape and events—and the Fuji. Great work on a short, condensed review. I am finally leaving ‘DX’ 24Mp world for full-frame and I primarily work on landscapes so the Z7 seems to be the clear choice for me. I expect some )if not most) of the software menu issues will be remedied in firmware updates so Nikon needs hear these issues. I know you are compiling a list of incompatible third-party lenses, I suspect that also means a list of lenses that are known to be compatible but thought I’d mention that as well. Looking forward to more as your team works with it. Solid review! Did you get a chance to use Nikon’s wireless apps? I’m mainly interested in their image transfer, and wireless control functionality. I know this may not be a make-or-break for a lot of people, but I haven’t seen any reviews of Nikon’s apps and how they work with the Z7/Z6. I’m very interested to see if Nikon fixed their issues from the original SnapBridge. Could you indicate which problems that you think could be resolved via firmware by Nikon? Try using f2 and setting the Sub Selector joystick to “Same as multi selector.” That should resolve your issue, I believe. And as you are selecting this, you also need to press right and select the sub-option for “Scroll,” so that the joystick will scroll around the image while zoomed-in, rather than advancing to the next image (at the same zoom level, which is a handy option as well). Out of all the issues mentioned above, that one bothered me the most. Yes, you can view only the image with no additional icons. Press the Up/Down arrows or press the DISP button to cycle through all display options. However, the option for ‘Image Only’ is available only if it was selected, among the options to display, in the playback menu. That works for reviewing images, which I’ve already enabled, but I don’t see a way to do the same in live view on the rear LCD unfortunately. and Enable Profile Corrections the Lens Profile says “Built In”. What does that mean? I normally choose the Nikon Lens that I am using. – mirrorless lenses: the manufacturer (e.g. Fuji) provides lens correction profiles inside the RAW file, Lightroom uses this profile*. *Side note: with this procedure you cannot display your images without a lens profile in Lightroom. Lightroom treats this as mandatory. However, other less sophisticated RAW Viewers do not process this built-in profile. A word of caution (rather psychologically): if you look at an image of a mirrorless camera without a lens profile, you might be disappointed: (sometimes heavy) Software-correction is part of the plan here. This has worked for me (Lightroom Classic CC release 7.5): In the lens corrections panel, I get “None” under “Make.” I select “Nikon” and the lens model selection with an Adobe profile in the Profile window pops up too. It’s worked with my 105mm/f2.8 macro and the 70-300 f/4.5-5.6 AF-P VR. It is a shame Nikon is being Nikon and keeping everything as closed as it can but I personally think that Tamron will release software updates for its lenses that don’t work with the FTZ adapter sooner rather than later, it would make no sense for them not to make this a priority. Keep in mind that the z7 just went on sale so it’d probably take a while to reverse-engineer and understand what is the exact problem but considering that other third party lenses (such as Sigma) or even some Tamron lenses work just fine, I don’t think it’s something too serious or not easily fixable. It’s nothing to write home about it. My Fuji X-Pro 2 produces much better images. Because you already did a side-by-side comparison years ago :D … Good for you, to be happy with your X-Pro. My wife and I received our Z7s on 9/29 and have had the chance to set them up enough to use a couple of times. The camera is pretty much as advertised (with a few hiccups to be worked out) and we’re very happy. The camera is comfortable to use, solidly built and is very much a Nikon in the way the buttons and menu are laid out. To be sure, it’s taking us a while to go through all of the menu options and some of the choices are going to take awhile to sort out. I’m hoping that as you and your colleagues get experience with the camera, you’ll publish set-up suggestions. These are always extremely helpful. Our work often involves the use of two cameras at a time (events, performance, theater) and we are older, so having a light camera is of significance. (We’ll be using the Z7s with our D850s or D500s. BTW, the D859 sounds like a cannon in comparison to the pleasant shutter release sound of the D850.) We’ve also found that shooting with smaller cameras is the way to go while traveling in cities, so we look forward to Nikon releasing Z-mount primes. Currently, we use our iPhones when we want to be unobtrusive and will no doubt continue, as mobile devices get more and more sophisticated. So far we’ve not had major compatibility issues. My current generation 24- 70 f/4, 45mm f/1.8, and 70 – 210mm f/4 seem to work well with the adapter and the generic Arca-Swiss base plate will do the job until RRS releases its base plate. We probably will not get an L bracket if there are problems with that, because our tripod needs are modest at this point. I’ve read that the Profoto A1 flash was not compatible with the Z7, but this has not proved to be the case. I mounted it on the camera and it fired right up. Finally, I had read in an Adobe forum that Lightroom wasn’t reading their RAW files. If you use Lightroom Classic CC, be sure that you have the latest update and you should be fine. The only anomaly I’ve seen is that Lightroom doesn’t yet seem recognize the 24-70 (z-mount) profile. But this is probably temporary and not major. Thanks, Spencer, for your thoughtful observations and your careful work. The samples were of great interest. D859? More “D850 in comparison with Z7”? That’s my impression. Sorry about the typos. Late night typing. It should read “the D850 sounds like a cannon in comparison to the Z7.” For whatever reason the D850 is also louder than the D810. Not sure why. Most of the time it doesn’t matter for us, but occasionally…. And I also think the D810 has kind of a sweeter shutter, sound and damping are really not calling for “attention, here’s the fat DSLR superpro coming” :). But of course, LV and with silent shutter, the D850 makes also a rather silent appearance. I do own a Z7 for a couple days and this is what I’ve experienced so far; coming from the D750 and now able to use the totally silent electronic shutter mode is soooo nice! There is a gap between the FTZ and Z7 body, the FTZ is a bit longer. What I do miss is a battery grip with a shutter release for vertical shots. I know there is a battery pack coming but it is without the button. I am struggling now how to make a vertical photo on how to hold the camera (since I always use a grip on my D750) Then good news for Spider Holster users, the plate fits perfect. And I am a Profoto A1 and B1 user, no problems here so far. What I would like to know more information about is how to handle the large files. Should I use a QXD reader or the USB-C cable for file transfer? Is the RAW-medium file usable? Lightroom handling etc. Now I wonder why my A1 produced underexposed shots? Did you use TTL or just manual setup? In any case, I need to re-check. Medium RAW-files. I also wonder how these will work, but so far Capture One hasn’t updated to some new cameras. Back in the day I could not use different sizes of RAW (like 5:4, DX, 1:1) on a D7200, but that was Version 8 of C1. I tried again and now I can agree, A1 flashes are working well. Don’t know what went wrong. Next time I’ll do it like with the lenses: double-check. Sorry for misinformation. Would be nice to see “on the field” photos with Z6 too, especially stressing the dynamic range, intentionally shooting underexposed and comparing the same picture with a properly exposed one, so to be able to evaluate how much you can recover from Z6 RAWs, in particular for shadows and underexposed midtones. Handy article, thanks; but isn’t the FTZ adapter meant to be used for mounting on tripods not the body? Or, can the tripod mount on the FTZ adapter be rotated out of the way so Arca-swiss plates will fit on the body? The tripod mount of FTZ adapter is fixed, non rotatable. It’s like a step below the bottom plate level and since bottom plate as well as the FTZ bottom plate are short, the choice of quick release plates is rather small. This evening I will finish the modifications on a L-plate for the body. The FTZ adapter has a rather short QR plate which then is 90° rotated to the L-Plate. But since the adapter will block the L-plate, that will not matter much. Bonjour, merci pour votre partage d’expériences avec ce Z7 que je convoite fortement (je prends beaucoup de paysages naturels et urbains et architecture). Je suis très impatient de savoir comment les Z6/Z7 + FTZ peuvent se comporter avec les T & Shift, notamment les Nikkor PC-E ? Je pratique les PC, PC-E autant à main levée qu’avec tripod (sur différentes platines), j’espère que la préhension du matériel, ainsi que les mouvements T & Shift sont préservés… ? Please check if AF lenses (both G & D series) can be used with Z series. Will they become manual focus lenses? How do they and AIS lenses perform with focus peaking? One thing to check our/confirm: during my testing with Z6 (!) at Photokina I mounted my beloved 135 mm f2 AIS on FTZ adapter. It was so easy to achieve focus through the new EVF, much easier than on the big viewfinder of my lovely D4. Yet when I set the EVF to display 100% so I could check the focus in detail, the display dropped the framerate significantly to the point where it really was – I have to say – almost unusable. Maybe it’s worth to check if the Z7 behaves the same way. I really did not expect that and I wonder what could be a possible reason ? Can anyone confirm this on Z7 ? Finally did a quick demo of the Z7 today, and was glad to find that it’s a real Nikon: I was glad to find that the Z7 uses nice solid feeling magnesium alloy in a very ergonomic body with quality buttons. Not quite D700/D3 indestructible, but similar in fact to an old D300, of which plenty are out there in perfect condition even after 10 years. The menus are good and fast and the customisable quick menu is an idea I thought would be good about 6 years ago, so nice to see. Dimensionally, although my pinkie also goes underneath the body, it feels fine in hand because the grip is deep and the shutter button positioning correct. However, I think I would struggle to use if with a 70-200/2.8 or bigger without a grip. This seems an ideal second body to me, like a D750. The native 35/1.8 lens seemed to focus fast, silently and accurately, even in poor light. The EVF is about the best I’ve used thanks to refresh rate and good eye relief; probably a smidge better than the A9’s because the contrast was more controlled. However, it is still an EVF which means whilst the colours are probably more accurate to the final image, high contrast situations cannot be catered for. For example windows are completely blown out if exposing for the indoors, which I’m sure would not be as bad in the final image. So the ergonomics are good, and I’m sure the IQ will be fine. However, at £3500 it’s too expensive in my opinion. Although it may be technically as advanced as a D850, that price would get you a second hand D5, which is a serious camera. I think Nikon would have been fine to sell it at £2750 and the D850 would not be affected given the difference in sizes. But, I will certainly be taking a close look at the Z6 if a frame-rate in the 8-12fps can be achieved without the EVF delay that the Z7 suffers at 9fps in the extended FPS mode. I do not care about the mp or weight. Not having to tune lens focus is great. Will the exposure preview give correct clipping info of a raw file? Is there an improvement in focus tracking? Why should I buy now as opposed to waiting a few years? I await your reviews. Thanks for all the work you folks do. Seriously: With the new alliance of Leica, Panasonic and Sigma, FF mirrorless just starts to take off. (i) Up until 2007 the DSLR was a fairly complicated and erratic tool because sensor technology was still developing and similar to using film SLRs, required a fair bit of knowledge and effort to get a good result from. (ii) With the D700/D3/5Dii/7D in 2007/8, digital photography became ‘easy’, in that the sensors were no longer erratic and the ergonomics / AF / file handling was optimised. (iii) With the D3S in 2009, the ISO issue was over. Very few situations require you to shoot above ISO 12,800. (iv) With the D600/7100 in 2013, the MP issue was over. (v) With the D810/750/7200 in 2014-5, the ISO with high-MP issue was over for enthusiast market. (vi) In 2016 with the D500, Nikon provided a DX camera with a viewfinder as good as an FX body, essentially the best AF system currently available since the AF sensor reaches the edges of the frame, and fine video with 4k. (vii) In 2018 with the D850, Nikon produced the most complete DSLR ever, with almost all the above advantages. As I see it, the main improvements that the Z series can now bring (like other MILCs) is for video with the silent AF/shutter options, and a wider AF coverage for FX compared to DSLR. Although the marketing men tell us about even sharper lenses, you won’t see much difference to good DSLR lenses except in a controlled studio environment, or in tripod-based landscape work. What these first MILCs from Nikon show us is that they could now easily produce a version 1 cm wider and 1cm taller that would compete with a D850, and they could also easily make a cheaper version with the same body and a DX sensor that would compete with a D500. The question is, will Nikon release further final versions of DSLRs like a D5S/D500S/D760 in the next few years, or just like Dyson have apparently ‘stopped development of corded vacuums’, have Nikon now ‘stopped development of DSLRs’? Thanks for sharing your continued experience with the Nikon Z7 and appreciate your efforts at making your review relevant to your readers by inviting questions. I have a running theory on why Nikon kept the buffer size on the Z7 and Z6 small when compared to its DSLR’s. I think that when we migrate to CFExpress cards, the parallel write speed is high enough and the current buffer size is big enough to never fill up the buffer. Nikon does claims that when shooting in burst mode the menu and writing does not freeze up, and it happens in parallel. Though the write speeds while shooting in burst speed is not specified anywhere. Can you find a way to check out if this could be possible knowing well that CFExpress cards are still not available and nor is the firmware update needed for that by Nikon. For starters could you determine the parallel write speed with the XQD card while shooting in burst mode? My second question is with respect to AF speed, all the tests online never mention the AF speed adjustment setting withing the camera when they perform AF tests. When you demonstrate your AF results, can you represent as a function of AF lock speed adjustment? I think this is a critical factor. Is anyone noticing sharpness issues with the Z7, specifically when using the adapter with a Nikon lens? I ask because while shooting with the Z7, with the adapter and a Nikon lens, the photographs do not appear to be sharp, at least not on par with the images the D850 takes; with the same lens. I’m trying to figure out why this is. Just to clear I am pixel peeping, and looking at the photographs at 1:1 (100 percent). Pixel peeping is important as I routinely print 24×36 inch and larger. If anyone has experienced this please let me know. I’m sure this is already planned, but if the Photography Life team could look into this as part of the review that would be helpful. I am still experiencing sharpness issues with the Z7. With the use of the adapter and F mount Nikon lenses (Nikon 24-70 2.8, Nikon 70-200 2.8, Nikon 50 1.4G, Nikon 85 1.8G, Nikon 28-300 3.5-5.6), the images and 4K video samples I took are not sharp. I am not the slightest bit impressed by the image quality of this camera, so far, it seems to perform well under the D850, especially when lifting shadows (noticing a lot of noise artifacts) which is disappointing. If this is just an issue with the Z7, the adapter and F mount lenses, I would still consider this to be a major problem with the system architecture. What would be the point of having an F mount compatible camera, if the image quality suffers when using the adapter? Since I don’t have a native Z mount lens yet (I didn’t want to spend the money on an F4 zoom lens), I don’t know yet if this issue has to do with a defective camera that I received. It’s possible I won’t experience this issue with Z mount native lenses, but again, I won’t know until I get my hands on one. Is anyone else experiencing this problem? 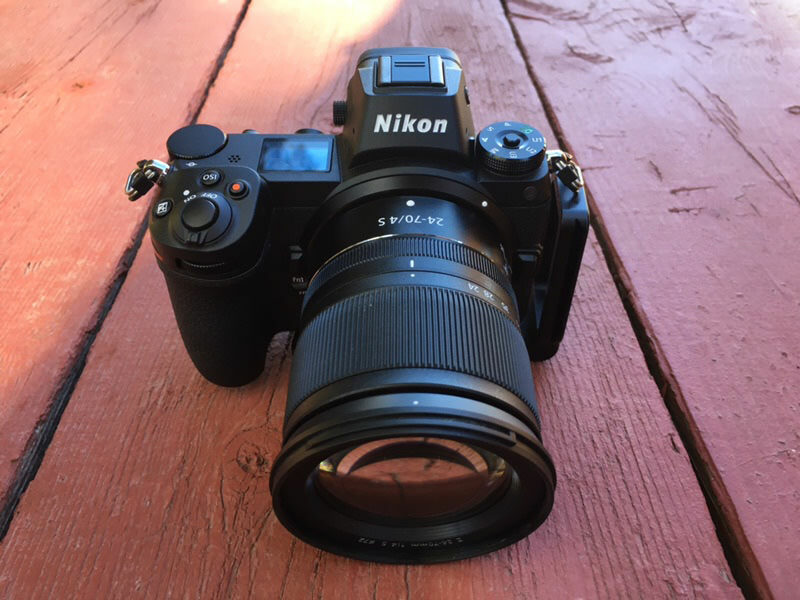 I only ask because, it is possible I received a defective camera, and before I ship this camera back, which I am about to do; I just wanted to check and see what other Nikon Z7 users are experiencing. I tested both Z7 with FTZ and D850 on Imatest using F lenses and there was no difference in sharpness. You definitely have an issue either with FTZ or Z7. Thanks for the response, I do appreciate you guys at Photography Life. I did more testing today, comparing my Z7 to my D850, and what I found doesn’t make sense, and is rather inconsistent, at least in helping to draw any clear conclusion as to what the culprit is; but, as a guess I am thinking the problem has to do with the focusing system. This is rather disappointing because this is the fourth Nikon I have had with major issues. I’m going to send this camera back and stick with my D850 for now (which I am happy with – and have had no issues with). In the future though I’ll be highly reluctant to buy another Nikon, I may have to consider switching to Sony at some point, and honestly the prospect of doing so doesn’t seem to appealing at the moment. Also, several of the well-known Youtubers have shown there are problems with the focusing, especially in low light. And then on top of that, there is the banding that becomes evident when you try to raise exposure or shadows. This camera is no D850, that’s for sure. IMO, it’s a very overpriced piece of consumer gear. Not pro quality at all; only pro prices. His tests are still work-in-progress, but he explains things more intelligently than most YouTubers. I see that this camera has been getting increasingly hammered online for poor autofocus, particularly following moving things. These “reviews” come from complete unknowns (to me), and do not seem to be “scientific” for want of a better word. In other words, not like yours. However, my curiosity is getting the better of me. Is there a problem here? Will we be able to use your Sensor Gel Stick on the Z7? Nikon has warned not to clean the sensor. Is it a reasonable warning or do they want to us to spend money sending it in? Same question about the Sensor Gel Stick. More generally, how does the Z7 do regarding dust? Another question: Can the Z7 be used with a portable power pack to recharge the EN-EL15B? Hi, could you pls let us know if ES2 slidecopyer could be used to digitize slides and negatives on Z7/Z6. When will we see a Z7 review? It’s been 4 weeks. Focus stacking tests would be great. A posting on dpreview indicates step size is too large for critical work, and that focus does not return to starting point.